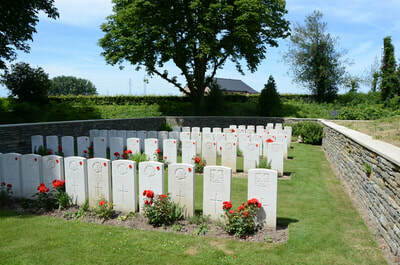 Marquion is a village on the main Arras to Cambrai road (D939), about 25 kilometres from Arras. 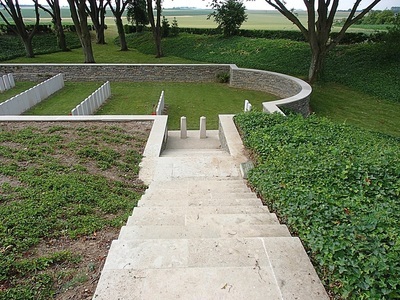 From Marquion, follow the D15 road towards Sain les Marquion, but after only 150 metres follow the minor road that leads towards Boulon to the left (Chemin de Bourlon). 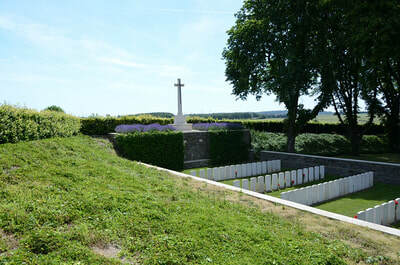 The cemetery is situated about 150 metres down this road. 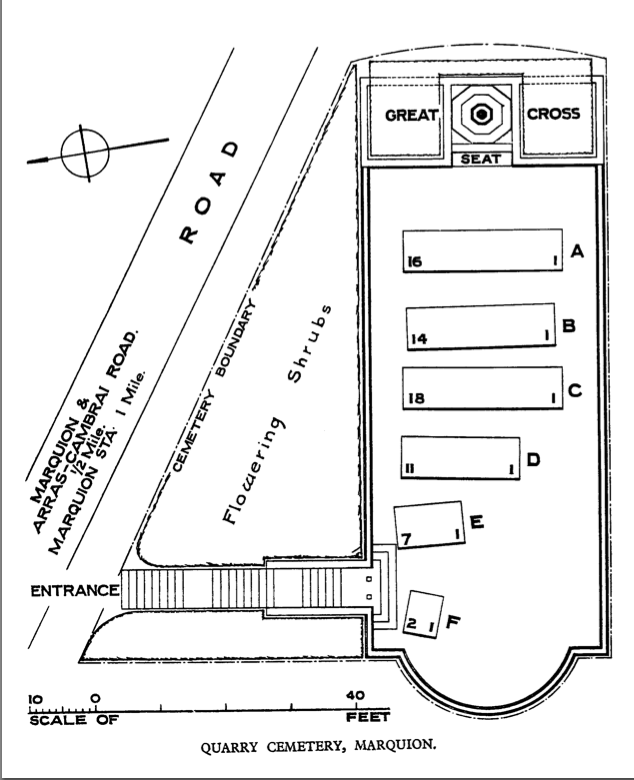 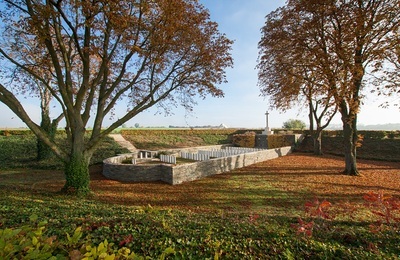 Marquion was captured by the 1st Canadian and 11th Division on 27 September 1918. Quarry Cemetery (called also the Chalk Pit Cemetery) was made by fighting units after the battle and used during the following month. 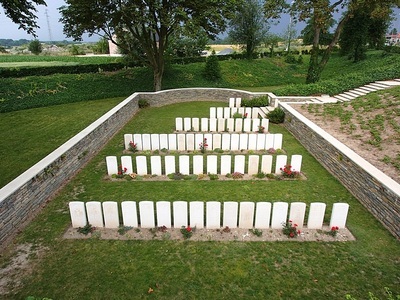 One grave was brought in from Marquion German Cemetery after the Armistice. 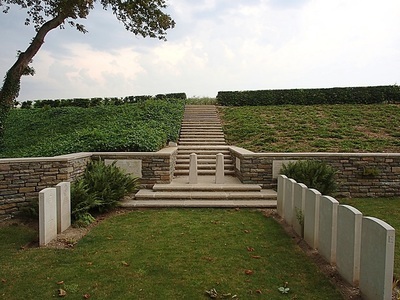 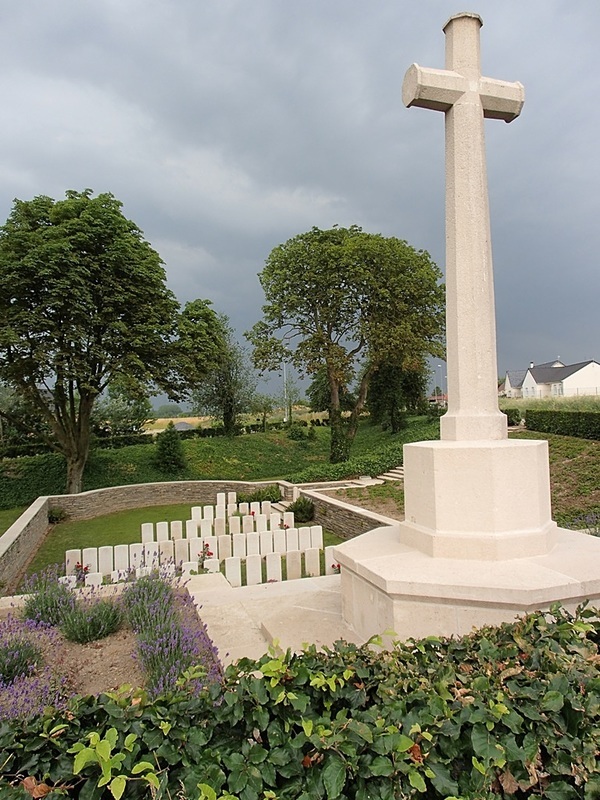 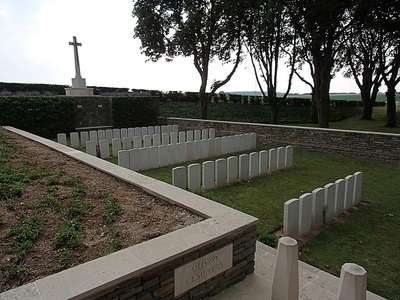 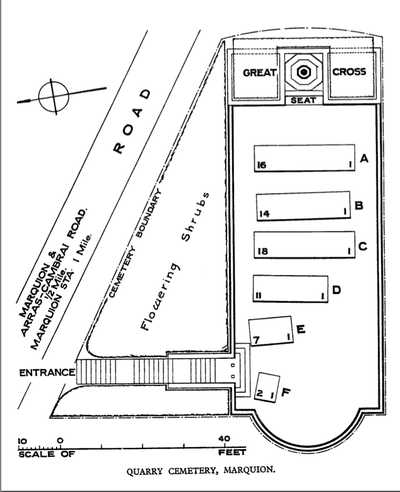 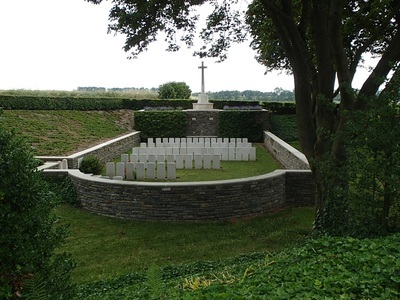 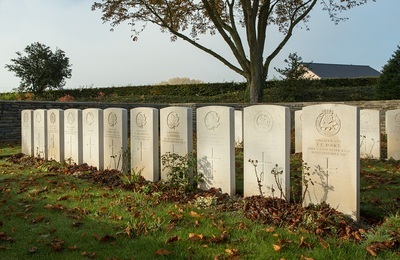 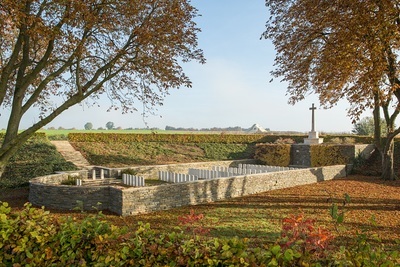 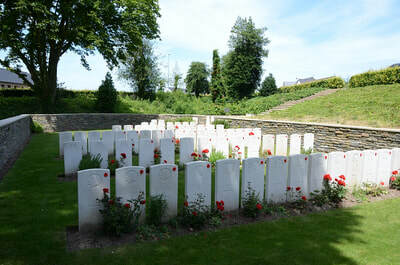 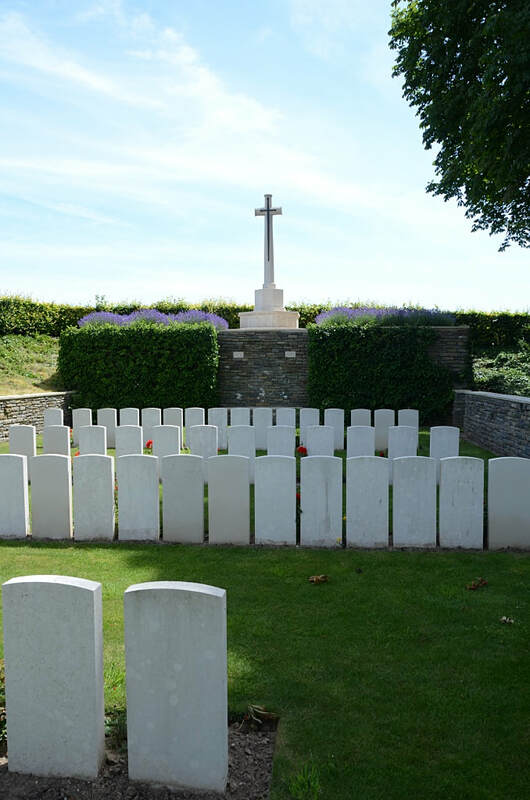 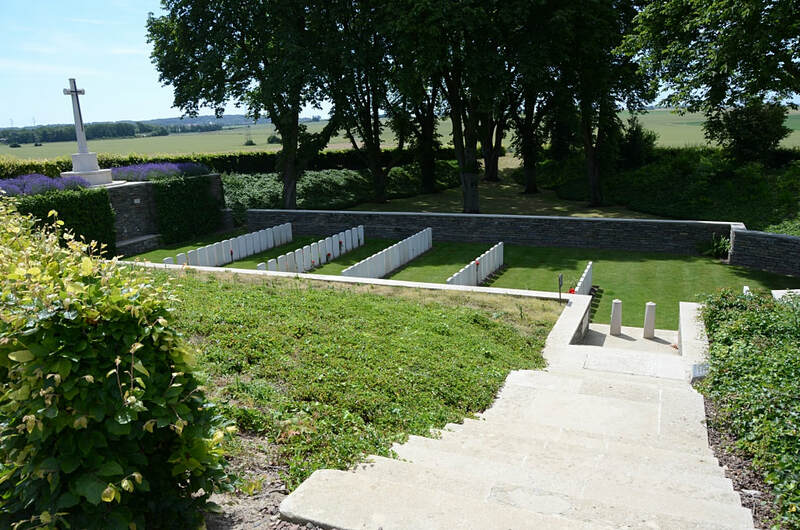 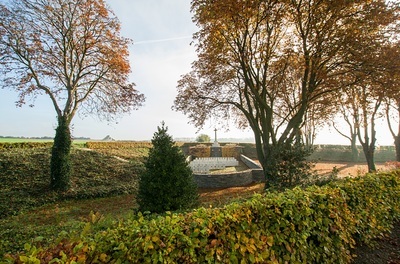 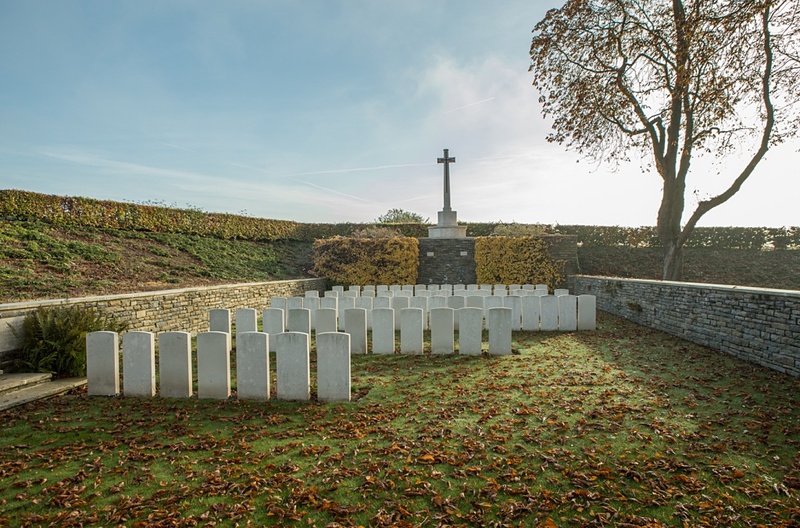 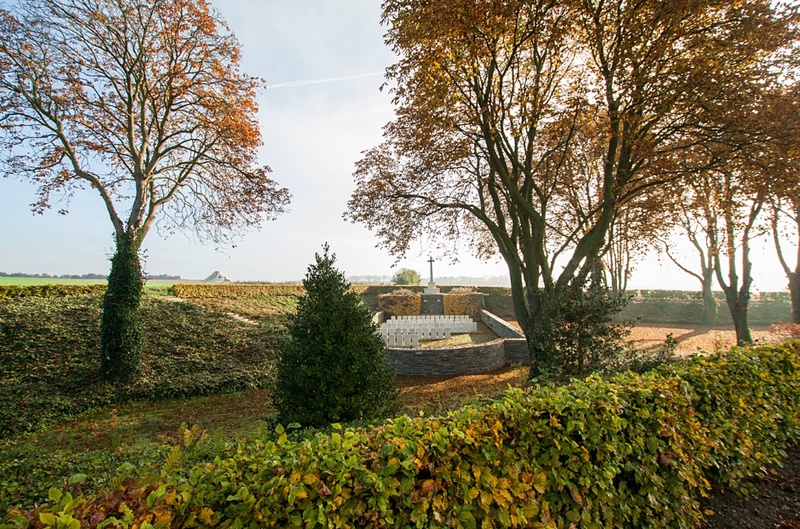 Quarry Cemetery contains 68 burials of the First World War. 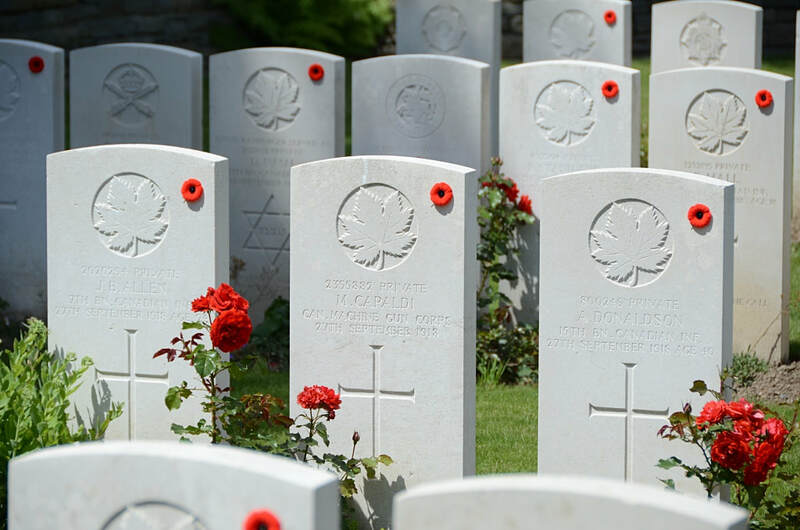 Casualty Details: UK 23, Canada 45, Total Burials: 68.